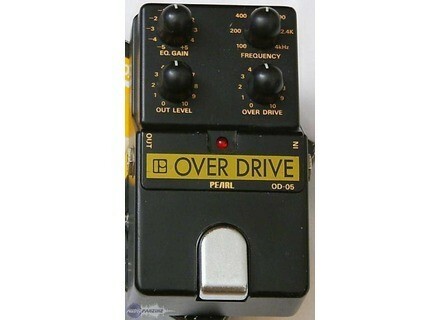 OD-05 Over Drive, Overdrive pedal from Pearl. 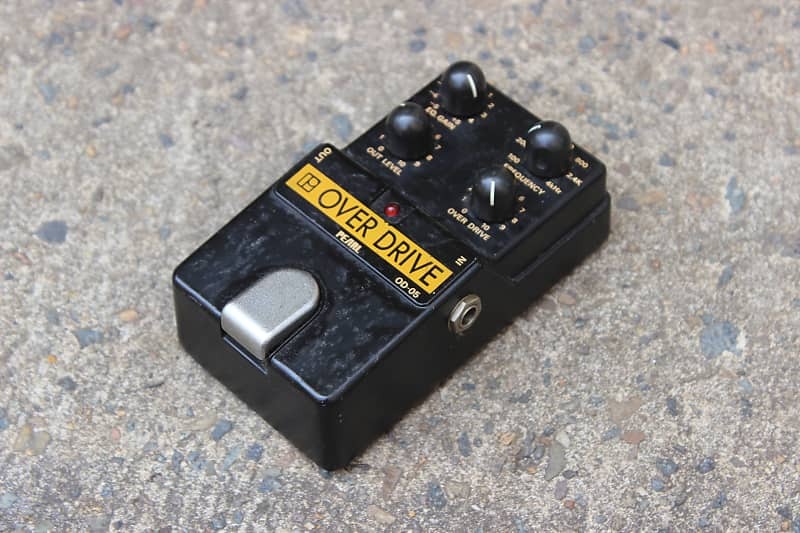 Bought this new back in the day, it was my first drive pedal and I’ve been using it up to this day. 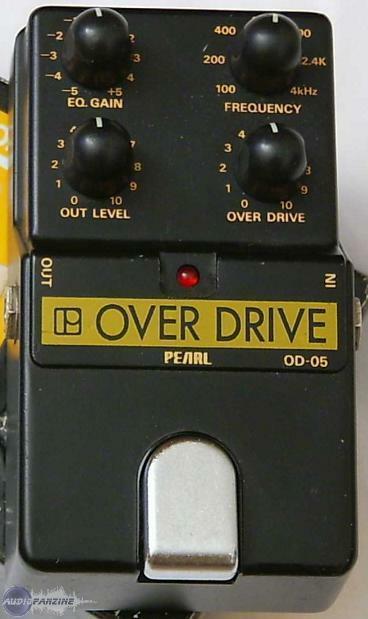 The od5 is part of Pearl’s short lived attempt into guitar pedals but it’s a very fine pedal nevertheless. Basically, Pearl’s take on the Tubescreamer, it provides a mild and warm overdrive that is pleasing and less midrange oriented as compared to Ibanez’s counterpart. The truly great thing about this piece of gear is that it has a parametric eq that is very effective. Over the years I used this in a variety of settings, but I’ve now settled on the 12 o’clock frequency setting totally dialed out (yes: OUT) and overdrive at zero. Might sound strange, but that way you get a great saturated clean tone that works great for country, rockabilly, indie and new wave stuff. Also works fine in association with other drive pedals: I’m using a Proco Rat, Boss Combo Drive, Dano Daddy O and TC Electronic Rusty Fuzz. My amps are a Blackstar 5 watttube amp, an Ibanez tsa5 and a Hughes & Kettner Edition silver solid state amp. In my setup, this pedal is always on, I’d be rather unhappy without it. This pedal wouldn’t work for metal tones or very extreme distortion sounds, but for somewhat more subtle and warm tones, it’s perfect. I have yet to find a modern pedal that has the same specs, and I have tried.